Joan K. Norton is the founder and principal of the full-service financial advisory firm, Joan K. Norton & Associates, headquartered in Woburn, Massachusetts. Joan is an industry professional with nearly 30 years of experience. She has an undergraduate degree from University of Massachusetts and a Master’s in Business Administration (MBA) in finance from Babson College. *Tax issues are complicated, please consult with a tax professional to discuss your individual tax situation. As the principal of Joan K. Norton & Associates, Joan takes tremendous pride in offering exemplary, personalized service to all of her clients. Joan stresses a long-term approach to investing. 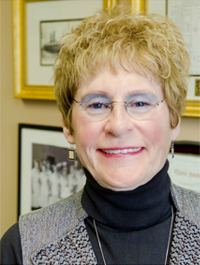 By identifying short-term needs, long-term goals and risk tolerances, Joan works to develop a comprehensive plan to manage wealth and assist her clients in achieving their goals. In addition to her professional accomplishments as a financial advisor, Joan serves on the Board of Directors at the Jane Goodall Institute. She is also a supporter of the Northeast Animal Shelter in Salem, MA , New Hampshire Humane Society in Laconia, NH, Women’s Sports Foundation in NYC, as well as numerous other local, national and international foundations, scholarships and charities. An avid tennis player, Joan is also a proud sponsor of the World Team Tennis Boston Lobsters . Joan K. Norton & Associates offers Securities through International Assets Advisory LLC, an Independent Registered Broker/Dealer Member FINRA/SIPC. Investment Advisory Services offered through International Assets Investment Management, LLC, an SEC Registered Investment Advisor.